Each time you download a file from the web with Safari, it goes into a list of downloaded items contained within the browser. 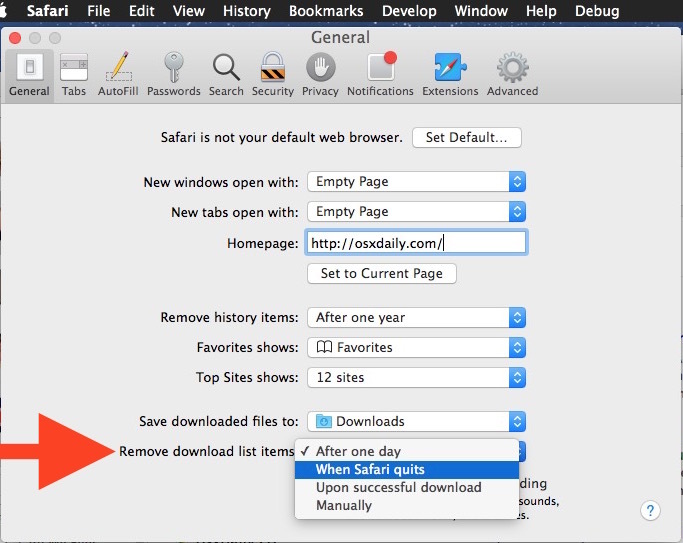 In modern versions of Mac OS X, this downloaded list item deletes itself automatically after a day passes, but if you want to change how often and when Safari clears the download list, you can do so easily through the browsers preferences. My personal preference is to remove items from the download list after each browsing session has ended, but some users may prefer to remove downloaded items with the default setting, immediately after an item is finished downloading, or never without manual intervention. There are several options available to suit user preference, and you can even clear the list yourself at any time. The items shown in the downloaded list will depend on what your settings are as chosen above. 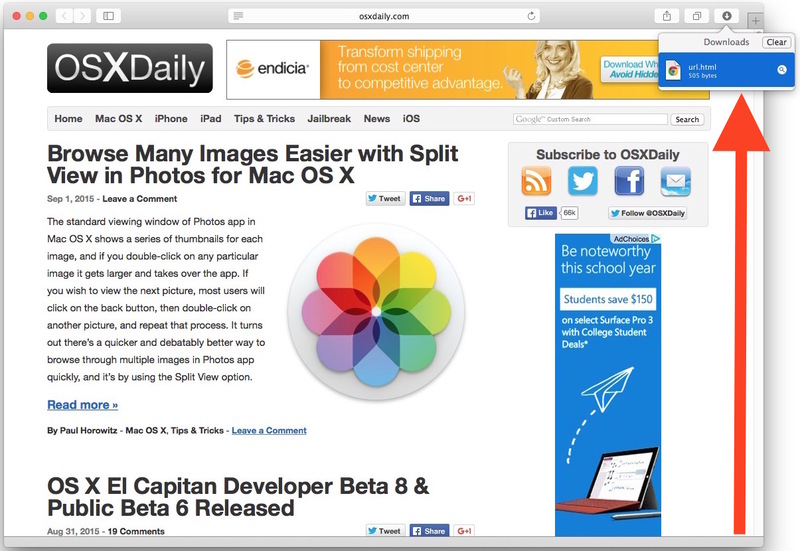 If the downloads list is empty, then the button does not reveal itself in modern versions of Safari on the Mac. Keep in mind this only impacts the list of downloaded files maintained in Safari browser, it has no impact on the files downloaded themselves, and they will still be stored in ~/Downloads or where ever else was set to be the downloaded file location to be on the file system. * The “Manually” option is helpful if you find yourself downloading a lot of files and wanting to keep track of them, and, perhaps most helpful with this option, is that if you can’t recall where a particular item came from, you can find the URL of where any file was downloaded from by investigating the file within the OS X Finder. A lot of people goto illegal download sites and get “hit” with pages what keep popping back up every time they close the tabs. I tell them to restart thier computer. Nobody has checked back after so I assume it works. Anyway, is there sone obscure setting that will flush the browser temp flags? I like to use the manual option, but it only keeps the last 20 downloaded files in the downloaded list. Is there a way in which to increase that? I’ve switched it to Manually because when it clears it also hides the icon. Considering I [still] manually Copy-V a number of URLs to download the file, it’s super-frustrating when the icon isn’t there. I have to download some JPG just to bring back the Downloads list. It’s a glitch, in my opinion, not to be able to bring up the downloads box, even if it’s empty. I teach my students (all over 55) to change the Safari Preference>General to download to the desktop. Why? Because our memories are short and they often leave things in the downloads without using them!